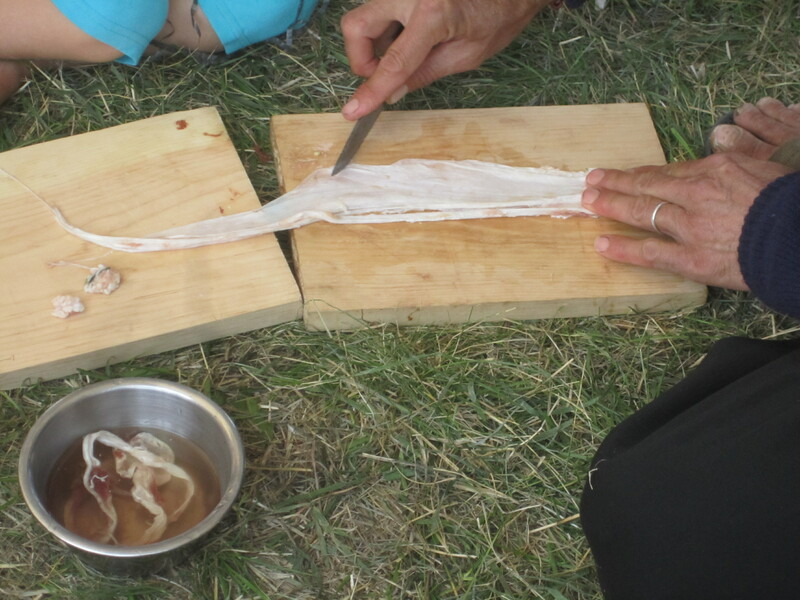 The small intestine of a sheep being used to make cordage. 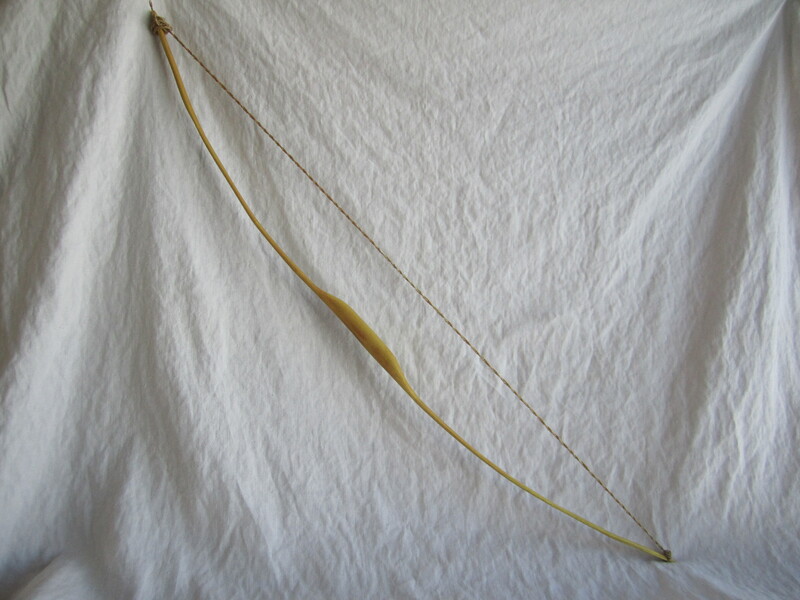 A bow made of Osage Orange and the bowstring made from the small intestine of a sheep. 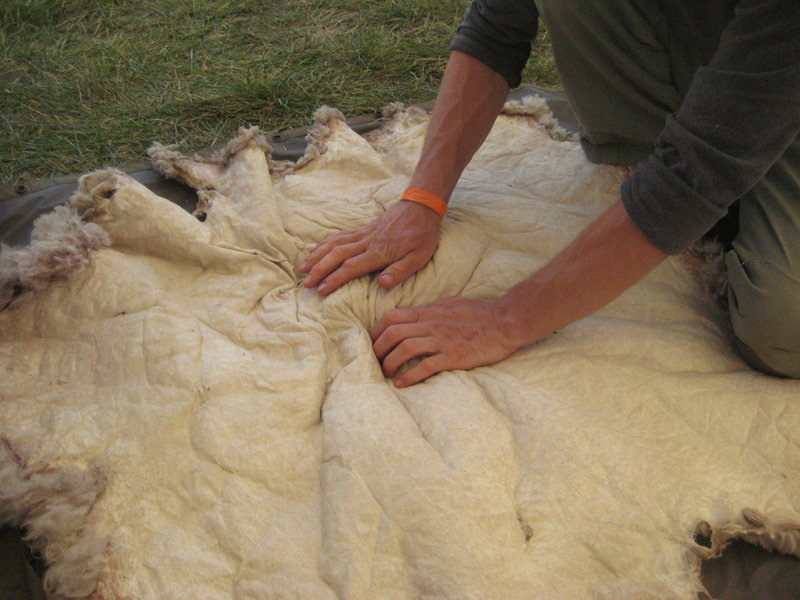 The satisfaction of the final stages of softening the sheep hide. Soap made from rendered sheep fat, wood ashes and water being molded for the final curing. 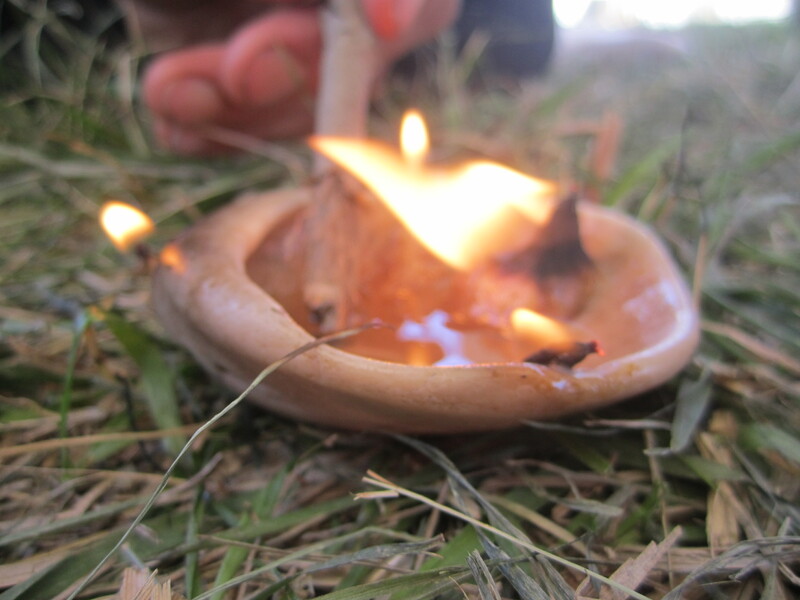 Making a fat lamp using various materials for wicks. 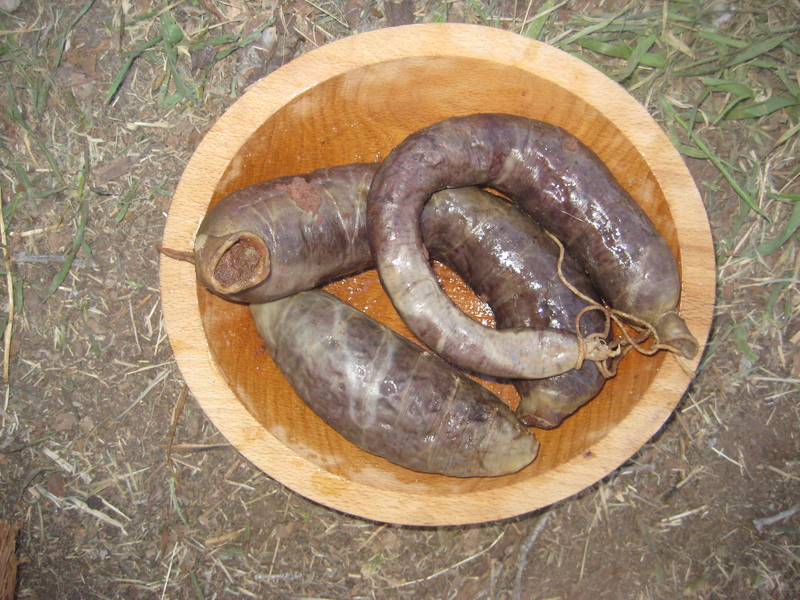 Fresh Sausage made using the large intestine of a sheep. 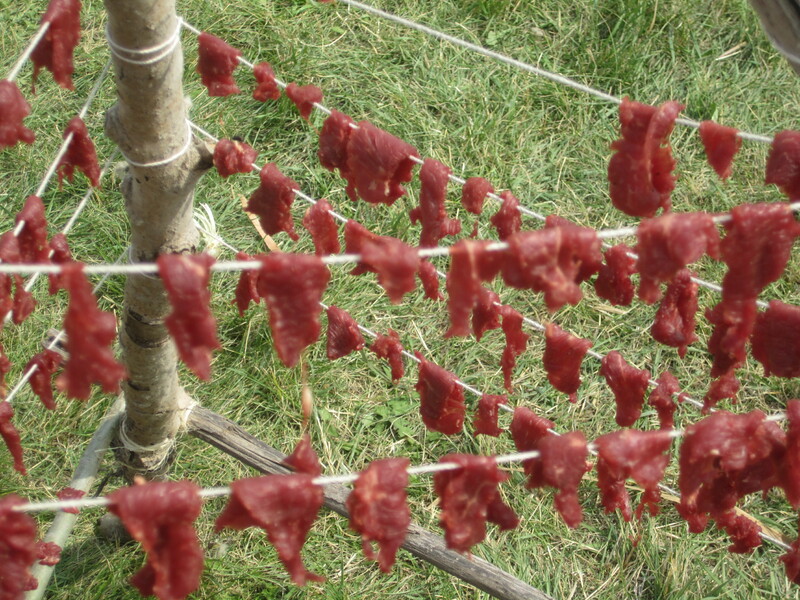 Sheep jerky drying in the sun to be eventually used for a trail snack or made into pemmican. 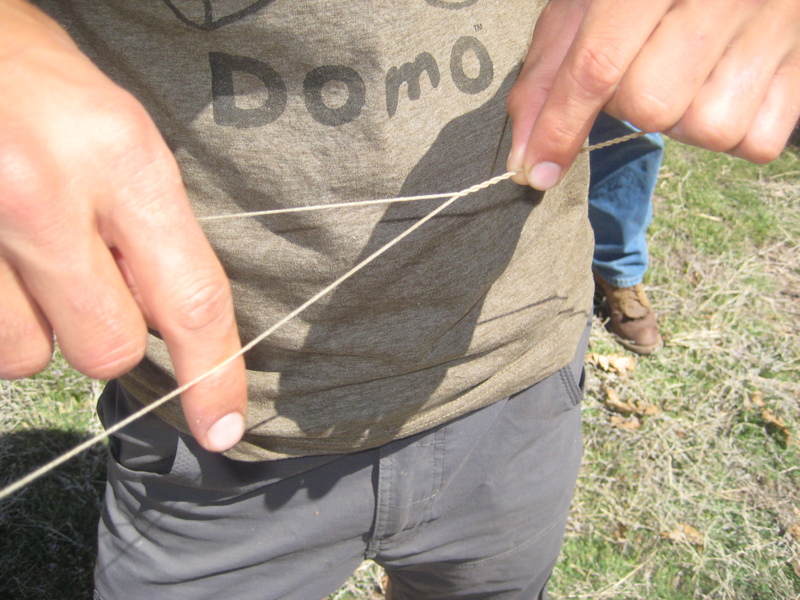 Cleaning backstrap sinew to be used for sewing thread, fletching an arrow or making cordage for a bow string. 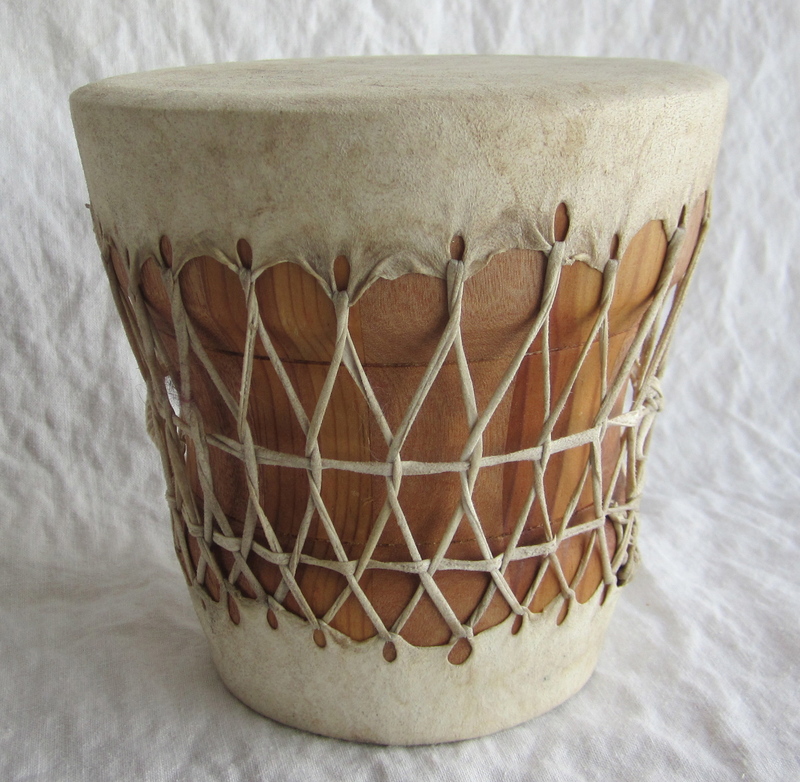 A processed sheep skin provides the head and the lashing for a drum body salvaged from a bongo set. 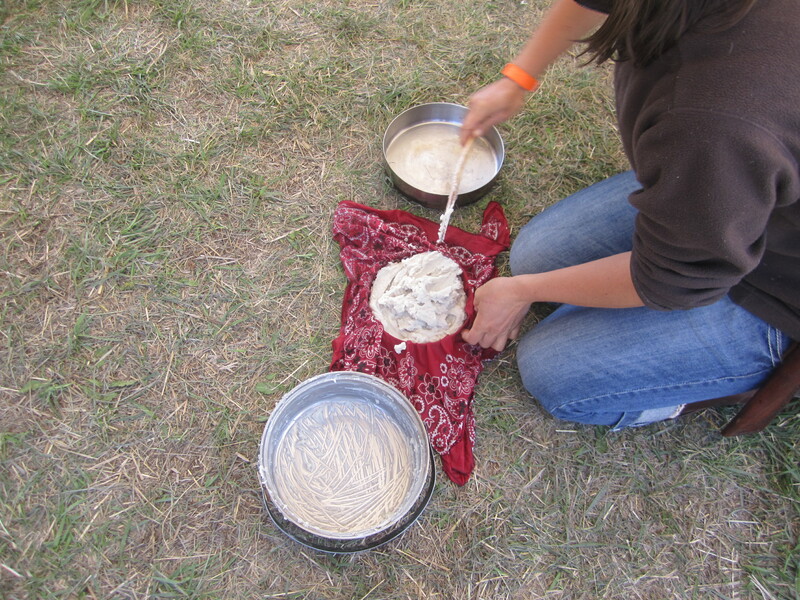 Return to the Traditional Animal Processing Workshop page. I loved this class!!! I have a greater appreciation for the meat we have and a much greater understanding of what an animal can provide. Thanks for the class! !